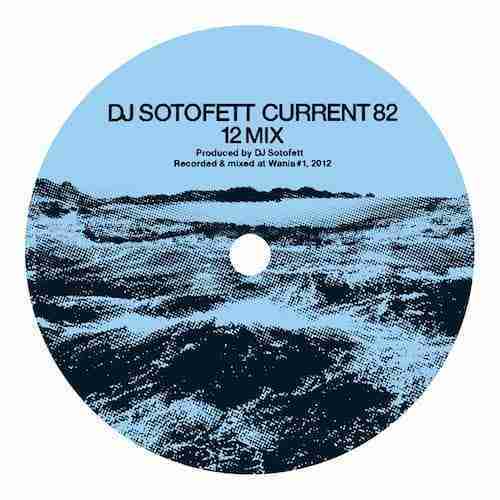 Anyway excuses aside, we had a couple of days earlier this week to catch up on anything we may have missed in the past 4 weeks and as a result can confidently endorse DJ Sotofett – Current 82 (12 Mix). So DJ Sotofett ‘Current 82’ what’s so good about it? Well, to the impatient observer, the answer is probably – not a great deal! Why, well for starters the first 2 minutes of the record may as well be the dial tone from a 1990’s modem and even at the 3 minute mark the record still seems to lack any sort of clear focus, not to mention that when it does eventually kick in its not the frenetically chopped up beats and pitch shifted vocals that many of us have come to expect from our dance music these days. However just at the point where you begin to question the reviewers eager endorsement, the record flickers into life with the smoothest of dreamy chord progressions that you’ve heard this side of the 90s. A progression so languid and understated that you would be forgiven in thinking that the record was originally written for a mid 90’s Cafe Del Mar (Ibiza). Current 82 is a modern record demonstrating that electronic music doesn’t always have to be a swash buckling popcorn blockbuster to be effective and enthralling, [Out Now].